OLD PARKED CARS. 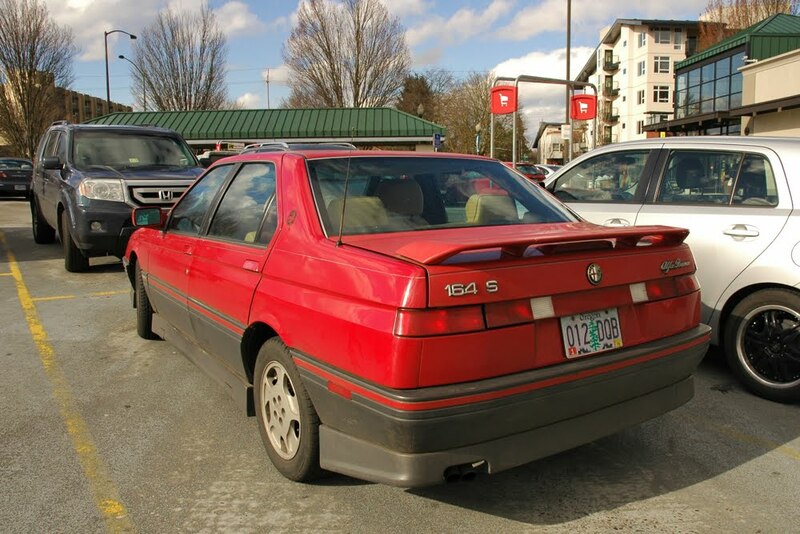 : 1990 Alfa Romeo 164 S.
1990 Alfa Romeo 164 S.
Awesome Alfa, thank goodness I'm not the owner. Hating that hood bra, why people won't use Scotchgard or something instead is beyond me. This car is all about the engine. It overrules a multitude of sins here not limited to...origami styling, front wheel-drive and a "sport" trim package straight out of "fast and furious". I also violates a personal rule for italian cars of a particular hue. I so wanted one of these in the early 90's. Anyone remember the 90's? 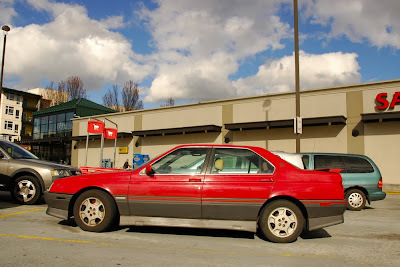 Remember how old cars were dime a dozen and were still considered cheap beaters? 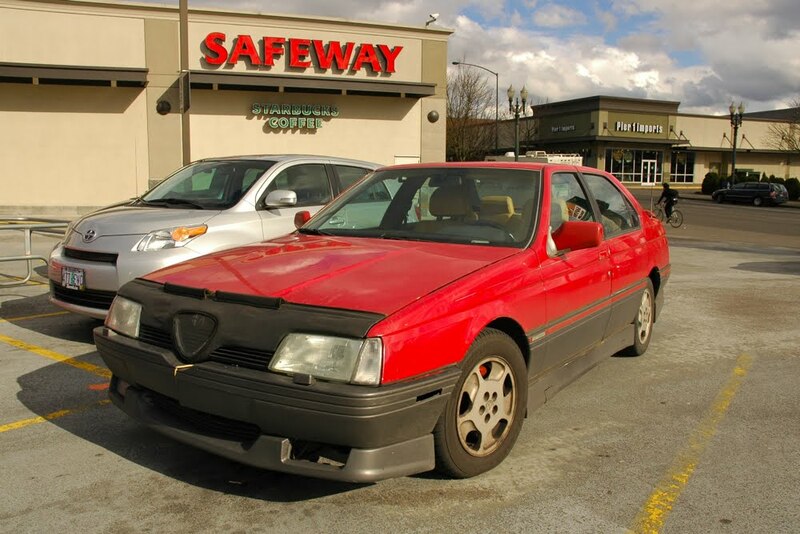 I would love to drive one of these, I have a feeling that a low mileage 90s Alfa could be a wonderful experience (even if it is FWD). I just made a new friend who has a 91 Spider Veloce with 50k miles on it, we'll see if I can get behind the wheel next time I'm in Milwaukee. I'm also chuckling at a very clear memory of the first time I saw a 164 before I moved to Portland. One of our friend's neighbor had a pair of these that never moved (unfortunately Google Maps has not driven down this particular street, I'm sure they would be clearly visible). I thought they looked like the worst cars. There must be a good reason that you don't see them around and they stopped being imported. Now I appreciate every 164 I see parked or being driven. Because that takes more guts and commitment than I have.